Our Delivery of Pharmacy Services in Residential Care Online Training Programme aims to provide pharmacists with the information they require to provide pharmacy services to residents in care settings. Our Management of Benzodiazepines and Z-drugs Training Programme aims to educate healthcare professionals on the legislation pertaining to benzodiazepines and the implications that has on the management of benzodiazepines in practice. Our Diagnosis and Treatment of an Acute Asthmatic Attack and the Supply and Administration of Salbutamol Training Programme enables pharmacists to diagnose and treat an acute asthmatic attack and supply and administer salbutamol in an emergency situation. Following a recent change to legislation, ( SI 449 of 2015 ), Cardiopulmonary Resuscitation (CPR) training is mandatory for all pharmacists wishing to supply and administer certain medicines. A list of Upcoming CPR Courses can be found in the Courses & Events menu. 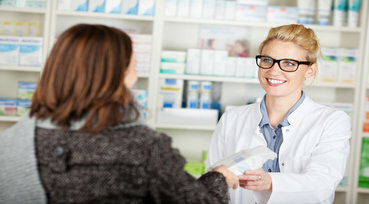 Our Developing Effective Communication Skills Online Course aims to enable pharmacists to consider the communication styles, approaches and techniques that are most effective in dealing with the different stakeholders they are engaged with in their daily practice. See more in the Online Courses section. Our online Diabetes Training Programme will give you the knowledge to deliver evidence-based care to patients with diabetes. All the information that you require to navigate through the core stages of the 2018/19 ePortfolio Review can be found here, including information on timelines, ePortfolio Review Information Events and support resources.